NEW YORK—Little plows for little streets will make a big difference in snow removal plans for next winter, Mayor Bill de Blasio announced today in his release of the city’s FY17 Executive Budget. 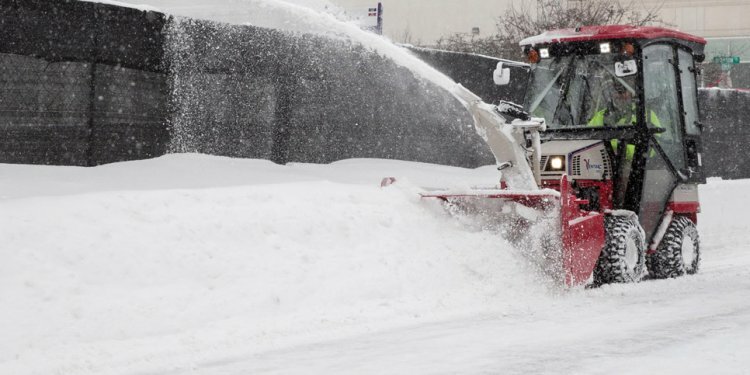 The budget includes $21 million in capital funding for new snow removal equipment to improve snow clearing operations and ensure New Yorkers can travel safely – in vehicles and on foot – after a snowfall. With this funding, the Department of Sanitation will increase capacity for plowing smaller streets as well as clearing crosswalks, bus stops, and pedestrian-only areas. The need for these smaller, specialized pieces of snow clearing equipment was identified in the Department of Sanitation’s after-action report, requested by the Mayor, in response to Storm Jonas, the second worst storm to ever hit New York City. New snow equipment, such as 80 haulsters, will allow DSNY to limit the use of outside contractors who currently supplement snow clearing operations on the 9, 046 smaller, narrow street segments in Staten Island, Brooklyn, the Bronx, and Queens. Shifting more of these operations to DSNY will improve snow clearing on tertiary streets that are smaller and more difficult to efficiently clear during a storm, and greatly improve snow operations. The $21 million will also fund 21 additional front-end loaders, which will replace mid-sized FELs currently used during salt loading operations. Larger loaders will allow DSNY to decrease turnaround on salt loading and lower queue lines. In addition to increasing overall efficiency for salt-loading, using front-end loaders for salt operations frees up the medium-sized loaders for other uses, such as plowing dead end streets. DSNY can then deploy those in streets during heavy snowfalls to ensure standard plows and V-plows remain usable when large amounts of snow have accumulated. Snow accumulation can render snow clearing equipment immobile in more isolated areas, so the redeployment of the mid-sized loaders will speed up the process of clearing tertiary streets that are completely blocked to plows. This investment will also fund 40 new skid steer plows to further mechanize the clearing of crosswalks, bus stops, which will facilitate better and safer travel for pedestrians following a significant snowfall. “The blizzard of 2016 hit Queens hard and that caused many challenges in clearing the snow throughout many parts of the borough. That’s why investing in this type of snow removal equipment is critical. It will improve and speed-up snow removal from our streets and roadways and facilitate better and safer travel for motorists and pedestrians. This winter’s snow is finally behind us but it’s never too early get ready for next season. I’m pleased that the City is making sure that it will be prepared, ” ‎said Congresswoman Grace Meng. “When you live in a part of the city that doesn't have a subway or easy access to public transportation, it doesn't matter whether your street is considered primary or secondary or tertiary – it has to be plowed. I know firsthand the difficulty of clearing narrow streets in neighborhoods like New Dorp Beach and Westerleigh with plows and front loaders designed for larger streets. That is why it is critical that DSNY has the right equipment to ensure that every size and type of street is cleared of snow so that all residents can get to work, bring their children to school, get to doctor's appointments and resume normal activity as much as possible. By providing these resources, the Mayor is making sure every street is a priority, ” said City Council Minority Leader Steven Matteo. “It is crucial that we equip DSNY with all the tools necessary to keep our city on its feet during the snow season. Residents living in the outer boroughs must have clear and safe streets when they travel to school and work after a blizzard, and I am pleased to see this administration improving its fleet to respond to that need, ” said Council Member Julissa Ferreras-Copeland, Chair of the Committee on Finance.